The Fox Goes Free boasts 400 years of character and history which is still preserved today. 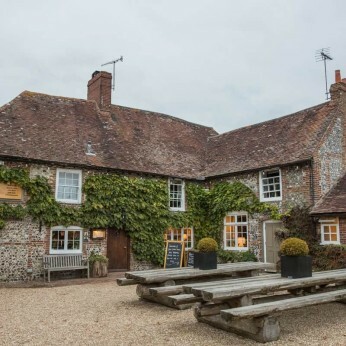 We are a Pub and Restaurant located on the Beautiful South Downs. The Fox Goes Free, near Goodwood, is a beautifully kept 400-year-old country pub and inn with a well-respected reputation for wonderful home cooked food, real ales, handpicked fine wines and friendly, genuine hospitality. Only 1 mile from Goodwood Racecourse. Forty winks at the Fox. A warm welcome to wedding guests. Always a friendly welcome at the Fox. So if you are looking for a listed pub with original features, great atmosphere, friendly atmosphere and effortless charm, all set amidst beautiful countryside, then pay us a visit.